John Walland comes from a Sales and Marketing background in the pharmaceutical industry I decided to follow my passion and joined 5FM as a Freelance Presenter in 1989. Following on from this I joined 5FM as a Sports Presenter working on the afternoon Drive Show, organising and presenting all the Sporting Interviews on shows like 'Nashua Sports Trax' I was also the sports anchor on SABC's 'AM Today' breakfast show for a year. After 14 years with the SABC, John Walland left 5FM to join 94.7 Highveld Stereo and worked with Alex Jay as his Sport's Anchor. I did numerous sports reports from live races including the Cape Argus Cycle Race, the Rugby World Cup, the Pick 'n Pay Cycle Race and many more. 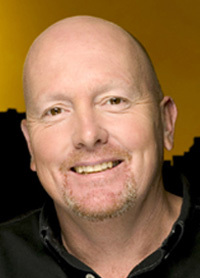 In 2007 John Walland joined Jacaranda 94.2 as a Sports Presenter on their morning Drive Show as well as the afternoon Drive Show on East Coast Radio. During this time I have worked on the KFC Sports Cage which was a 1 hour sports related show interviewing sports personalities on various topics. KFC Sports Cage named as MTN Radio award winning show in 2010 in which I set up and contributed daily reports and interviews. I am proud to have completed 10 Comrades marathons, 11 Two Oceans Ultras, 8 London marathons, 6 New York marathons and 12 Argus Cycle Tours. Over the years I have worked extensively with many Sports Personalities and believe I have a great understanding of sports. •For Weddings, Birthday Parties, Christmas Parties, Corporate Functions, Sporting Events. If you looking for more Corporate Entertainment we can provide you with South Africa`s BEST Master of Ceremonies, Hire a Comedian, Keynote Speakers, DJs & bands and variety acts. You can even Hire a Magician, We have the very BEST in Live Entertainment for your function or event.